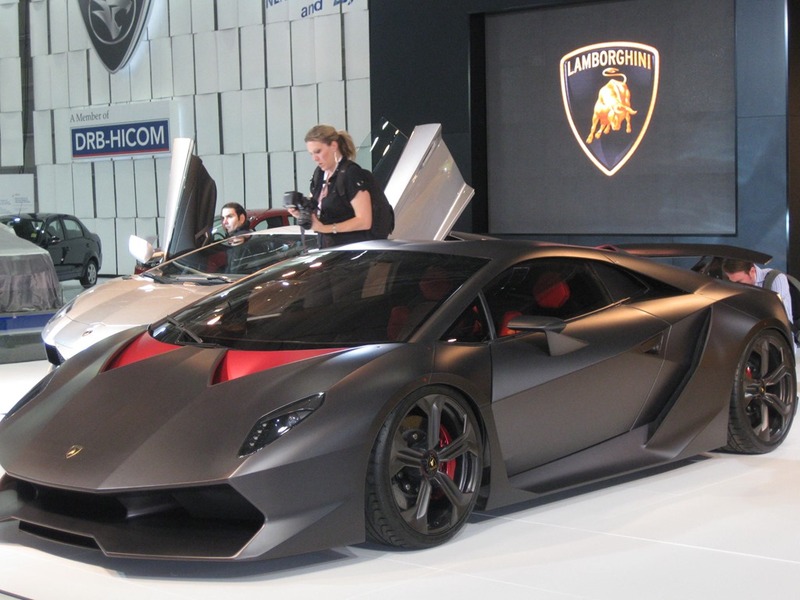 The Sesto Elemento was presented as a concept car at the Paris motor show. The last Lambo to weight under the tonne was the Countach Evoluzione in 1986. The materials have allow the Italians to make a car that is extremely stiff, extremely light and very very safe. The front frame, exterior panels, propeller shaft and crash boxes are lovingly fashioned from CFRP. The major suspension parts and rims are made of carbon fibre. To top it all off, and to have an even crazier name in the article, the tailpipes are made of Pyrosic, an advanced glass-ceramic mix able to withstand 900°c should you ever want to pop you car in a quite hot oven. The final blow surely is the name of the material from which the exterior panels are made: Confango. 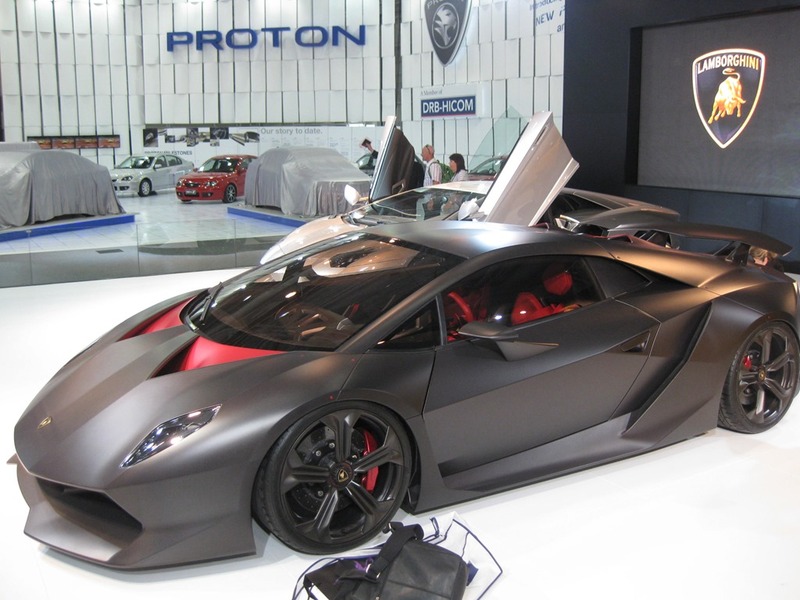 I was allowed to sit in the Sesto Elemento because the boy minding the cars appeared to be of a sensitive nature and sympathetic with the readers of GAYCARBOYS wanting an exclusive. So he allowed me to sit in the Lambo only if I took no interior shots. The doors feel like they weigh less than a piece of A4 paper and the temptation is to slam it shut! I thought the inside wasn’t finished but that’s your lot. It looked like the inside of a bit of carbon fibre Tupper Ware. Please note there are no seats, only a couple of pads glued to the chassis. It wouldn’t be comfy on a long run. Of course that’s never going to be an issue because you can’t drive it on the road, and it costs a eye-bleeding 2.5 million bucks and there are only 20 ever being made. On that note, we end.